Arie Vink, Jr. was born March 30, 1933, to Arie Sr. and Nellie (De Jong) Vink, in Reasnor, Iowa. 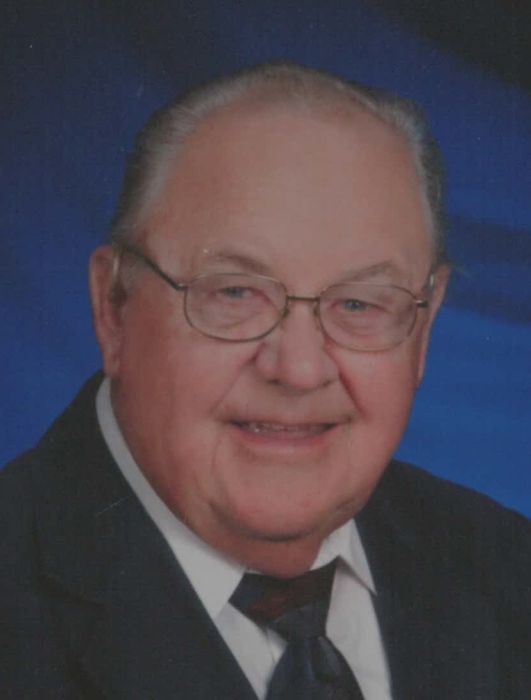 He passed away April 12, 2019, at the Comfort House in Pella. Arie attended Sand Ridge School through eighth grade. He went on to serve in the Army. On September 26, 1958, he was united in marriage to Joyce Ryken, at her parents’ home in Otley. To this union, they were blessed with six children: Arlyn, Mark, Joann, Loraine, Byron and Carolyn. Arie enjoyed farming until 1978, when they moved to town. His biggest joy was planting the corn and always ran the combine. He later worked for the Pella Christian High School and Central College. After retirement, Arie and Joyce started Vink Lawn Care, later selling the business to Arlyn and continued to mow. He enjoyed woodworking, and built toy barns with his grandsons and later his great grandsons, teaching them how to properly hold a hammer and to mow and never blow grass on the street. Arie enjoyed traveling and taking a cruise to England and Western Europe. He also enjoyed attending his grandchildren’s sporting events and music concerts. Arie was a member of the First Christian Reformed Church where he served as elder and deacon. He was faithful in attending church even though he couldn’t hear. Arie was preceded in death by his parents Arie and Nellie Vink, his parents-in-law Martin and Antonia Ryken, his son-in-law Greg Van Veldhuizen, his great granddaughter Evyn Gentry, his sister Anna and Frank Hettinga, and his brother Nick and Bertha Vink.